Deputy Prime Minister Truong Vinh Trong will lead a Vietnamese delegation to the 2011 United Nations Assembly Meeting on AIDS in New York on June 8-10. Deputy PM Trong stated this at a press conference held in Hanoi on May 27. He said that Vietnam has gradually pushed back the AIDS epidemic. The numbers of HIV/AIDS patients have decreased over the last three years. The numbers of deaths from HIV/AIDS have also decreased since 2005. In 2010, the country adopted a national strategy for HIV/AIDS prevention and control and successfully reduced HIV/AIDS infection rate to below 0.3%. 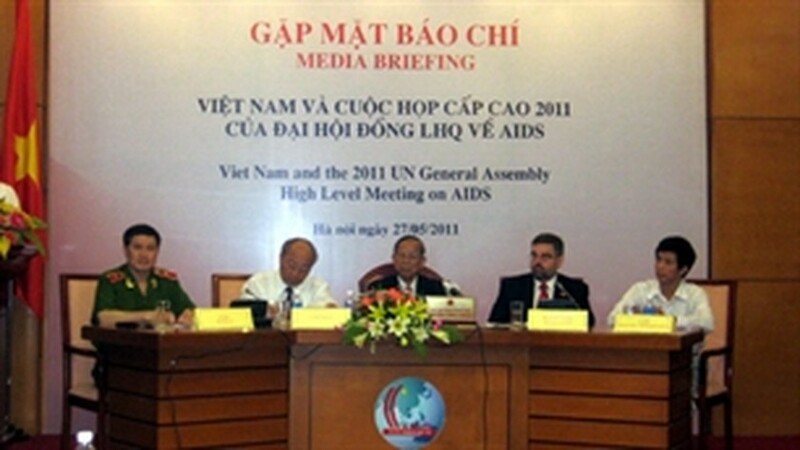 Vietnam’s participation in the UN meeting affirms its sincere efforts in HIV/AIDS prevention. The country is taking measures to prevent HIV/AIDS from spreading and helping drug users to have access to rehabilitation centres in Hai Phong, Hanoi and Ho Chi Minh City. Deputy PM Trong also said that in its fight with HIV/AIDS, Vietnam had received immense support from international organizations. The country’s goal is to prevent and eradicate HIV/AIDS out of the fabric of social life in future.